The Comfort Inn hotel is less than one mile from historic downtown Idaho Falls and the greenbelt, an area surrounding the scenic waterfalls of the Snake River. Additional nearby attractions include the LDS Temple, the Museum of Idaho and Melaleuca Field. The Tautphaus Park Zoo is just minutes from the hotel. The hotel offers several fine amenities and services. Every morning guests will enjoy a delicious free breakfast with hot waffles, free coffee and a free weekday newspaper. Fresh-baked cookies and milk are served in the lobby every evening. 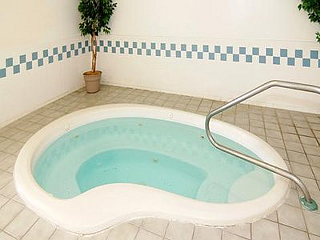 The hotel also features an indoor pool and hot tub. Business travelers will appreciate modern conveniences like free wireless high-speed Internet access and the use of property copy and fax machines. Each spacious guest room in this Idaho Falls, ID hotel comes with an iron and ironing board. Rooms with microwaves and refrigerators are available. Non-smoking rooms are provided upon request. This is a pet-friendly hotel; extra fees apply. The hotel also offers valet cleaning service for added convenience. Some of the greatest national parks are located a short distance away, including Yellowstone National Park, Grand Teton National Park, Grand Targhee, Jackson Hole and Craters of the Moon National Monument and Preserve. Skiing, fishing and hiking are among the popular outdoor activities that surround this Idaho Falls, ID hotel. The adjacent downtown area is filled with unique shops and restaurants. 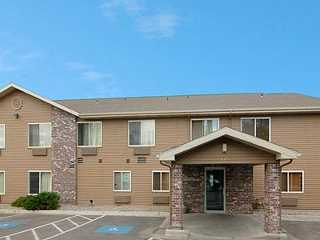 We want the Comfort Inn hotel to be your home away from home each time you visit the beautiful city of Idaho Falls. Our friendly staff is dedicated to making your stay as enjoyable as possible. 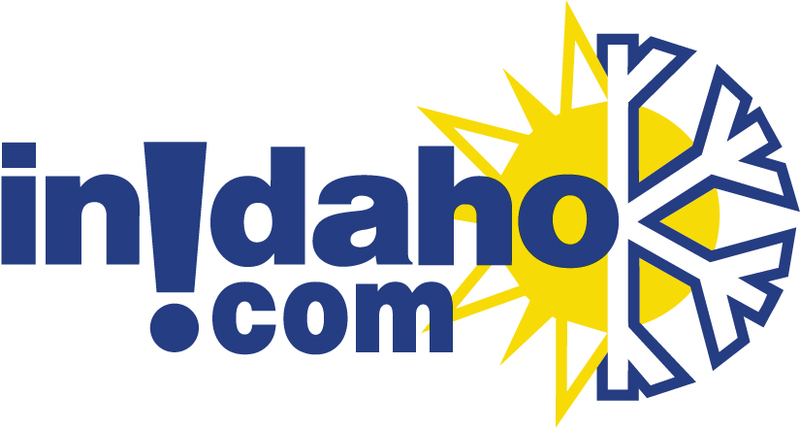 InIdaho has been partnered with Idaho Falls hotels and motels for about 21 years. 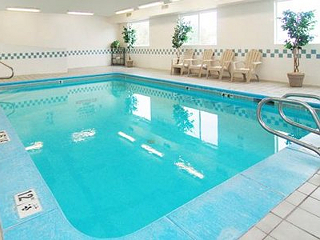 We guarantee the lowest prices for Comfort Inn Idaho Falls reservations. Our local idaho business is staffed by friendly and efficient employees who appreciate that you choose to make your reservations for Comfort Inn Idaho Falls with us. 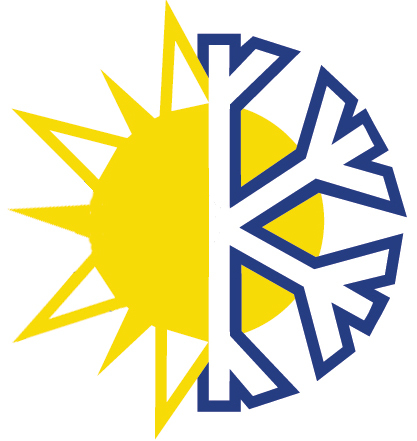 Our rates are always the same or lower as calling the Comfort Inn Idaho Falls direct. 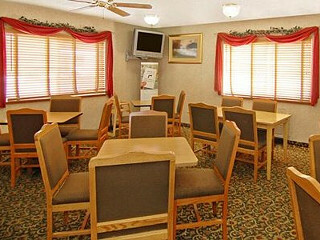 We also offer group rates for Comfort Inn Idaho Falls - just contact us! General Location: 195 S. Colorado Ave. Directions: From Fanning Field, take airport exit onto Skyline Drive, left on Broadway, right on Colorado Avenue. We do not have any current pre-built packages for Comfort Inn Idaho Falls . This guest room offers a king bed, sitting area with sofa sleeper, microwave, refrigerator, coffee maker, hairdryer, iron & iron board and Cable TV. This guest room offers two queen beds, coffee maker, hairdryer, iron & iron board and Cable TV. This guest room offers a king bed, coffee maker, hairdryer, iron & iron board and Cable TV. Please note: Guest reviews may mention certain amenities that may no longer be offered with Comfort Inn Idaho Falls. Please check the amenities prior to booking to confirm.